Thanks to a transformative gift from Kirmac Collision & Autoglass and the McIntosh Family, BC Children’s Hospital is establishing Western Canada’s first pediatric 3D Technology Program. Kirmac Cares for Kids has been supporting BC Children’s Hospital since 2010 and the generosity shown by their employees, customers and business partners has made a significant difference in the lives of kids and their families. The establishment of the state-of-the-art program in 3D technology will span both clinical and research areas throughout the hospital while improving the care and outcomes for kids across the province. 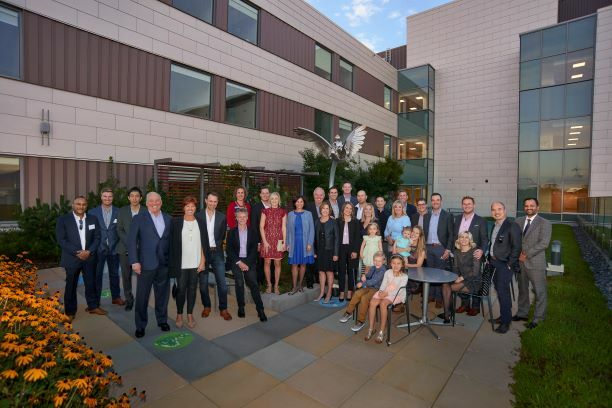 In recognition of Kirmac Collision & Autoglass and the McIntosh Family’s remarkable support, we are proud to celebrate the naming of Kirmac Cares for Kids Garden on the 6th floor of the Teck Acute Care Centre.